Discussion in 'Pop & Justice' started by Humanracin, Jul 10, 2018. New album Love Is Magic announced for October 12th release. I wasn't a big fan of some of the tracks on his last album. And the Creep Show album seems to have passed me by without anything memorable happening. But I already love this new track. WhipperSnapper, Heartthrob, Jwentz and 3 others like this. Love Is Magic is fantastic. It also has me wondering/salivating over what JG x Tame Impala would sound like. Jwentz, Humanracin and Noir like this. I'm not sure who produced Love Is Magic but it kind of sound like SURVIVE. 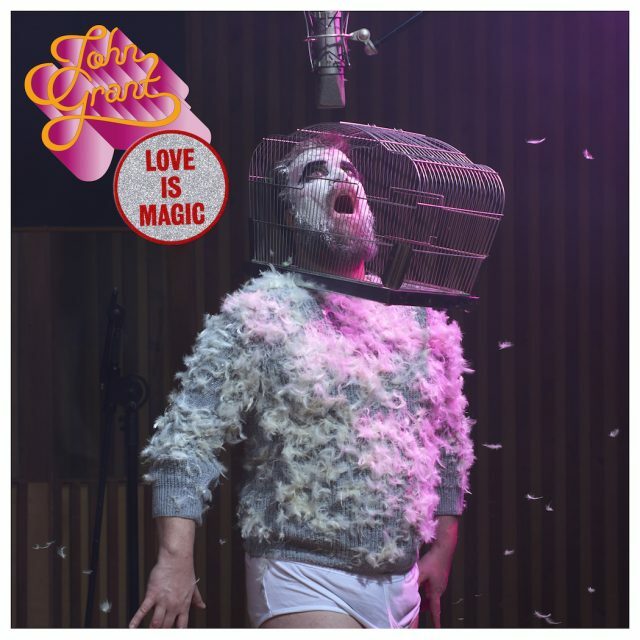 This is the John Grant I love. I love this and hope for more synthy/electronic tracks on this album. It's Benge who he did Creep Show with. They sound very similar so might have been recorded at the same time. Very much looking forward to this. The music world would be much poorer without John in it. WhipperSnapper, mcuk, Humanracin and 6 others like this. mcuk, Dennis, Humanracin and 1 other person like this. What a force!!! I just love him! I really like John Grant. His first solo album is still my favorite, & sometimes his songs can lean a little too far on the "I'm so witty!" side of things, but this is a great tune. Looking forward to the new album. Dennis and Humanracin like this. Another two songs available in iTunes. Love Touch and Go! Excited about this because it's not produced by John Congleton, who ruined Grey Tickles, Black Pressure for me. JonBcn and Andy French like this. Why is this not out until October though. mcuk and Andy French like this. I was hoping Touch and Go would be another masterpiece like Glacier or Geraldine but it isn’t. It’s just there. I don’t like Mothers Hips but those kind of songs that he does are always my least favourites. DominoDancing and Andy French like this.